NEW YORK -- An outbreak of E. coli linked to Chipotle restaurants has expanded to six states. The Centers for Disease Control and Prevention says new cases have been reported in California, New York and Ohio. Cases were reported in Minnesota earlier, while the majority of illnesses have been in Oregon and Washington. The agency says the investigation is ongoing to determine the specific food that is linked to the illness. So far, the CDC says 45 people have been infected, with 43 of them saying they ate at Chipotle in the week before they became sick, and 16 of them have been hospitalized. Those sickened in the outbreak range in age from 2 to 94 years old. There have been no deaths. The CDC said it is aware of illnesses starting on dates ranging from Oct. 19 to Nov. 8. The agency said that illnesses that took place after Oct. 31 may not have been reported yet. Late in October, Chipotle Mexican Grill closed 43 restaurants in Oregon and Washington after health officials discovered most of the people sickened in an E. coli outbreak had eaten at the chain's restaurants. Those restaurants have since been thoroughly cleaned and reopened. Chipotle said affected individuals reported eating at two restaurants in Turlock, California; one in Akron, Ohio; one in Amherst, New York and one in Burnsville, Minnesota. The company said it is not aware of any employees who have become ill.
"It helps investigators link up to a perishable item," Marler said. "What they're really focusing on right now is the supply chain. What's the common denominator? Who supplied what product to these stores?" Symptoms of E. coli infection include diarrhea, abdominal cramps, nausea and vomiting. Symptoms generally develop 3 or 4 days after eating contaminated food, although the incubation period can range anywhere from 1 to 10 days. "If you have severe diarrhea lasting more than three days or vomiting where you can't keep down food, call your doctor," CBS News medical contributor Dr. Tara Narula advised. 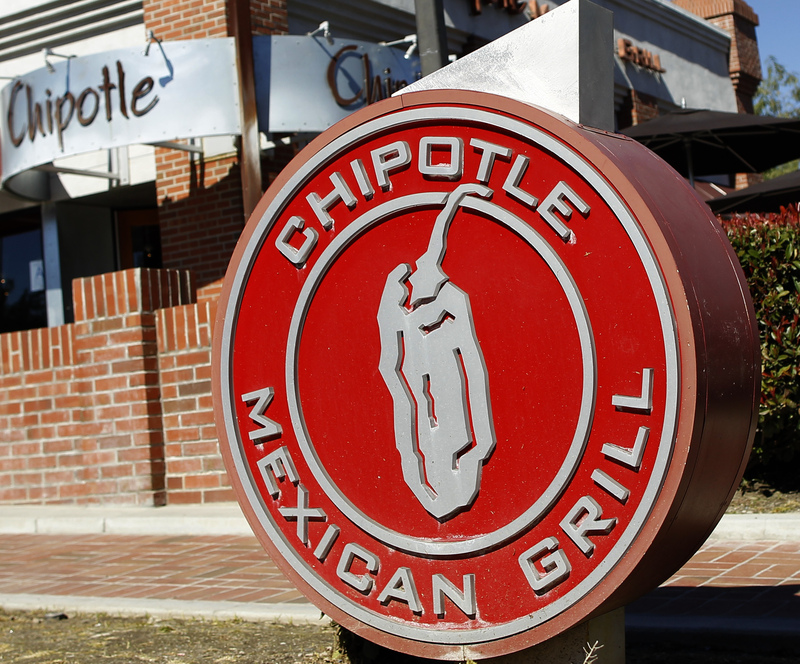 Chipotle has faced other recent problems with foodborne illness. Health officials said a salmonella outbreak linked to tomatoes sickened dozens of people in Minnesota beginning in August, and in California, norovirus sickened nearly 100 customers and employees at a Chipotle restaurant in Simi Valley in mid-August.